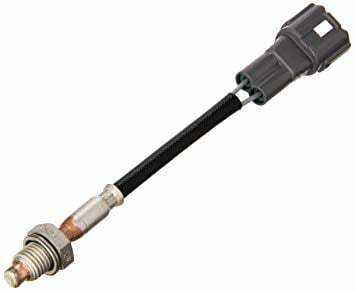 The exhaust gas recirculation (EGR) temperature sensor is an important component that monitors the EGR gas temperature and sends the desired information to the car’s onboard computer system. Any problem with the EGR temperature sensor can cause damage to the EGR system and as a result, your car may fail to pass the emission test. Why is the Exhaust Gas Recirculation Important? Modern vehicles are equipped with an exhaust gas recirculation system which has the task of routing the gas from the exhaust to intake reducing the combustion temperature in the engine. The reduced combustion temperature helps in minimizing the NOx emission and prevents the engine from making knocking sound. However, the gas recirculating process is not always required. For instance, when the engine is idle, the combustion temperature is already low and there is no need for exhaust gas. To regular this, the EGR valve is present which opens and closes at perfect timing when it is required. This EGR valve is controlled through an EGR temperature sensor. The sensor collects vital information and based on this information, the EGR valve determines when to open and close. When the EGR temperature sensor fails, it causes various issues with the EGR system and the situation should be addressed quickly. In this article, we will discuss some of the symptoms that you will face because of a bad EGR temperature sensor. The first symptom you will notice is that the check engine light illuminates. Any problem with the engine or sensor causes the check engine light to illuminate indicating that the car should be taken for diagnosis. One of the first problems you will notice is that the engine starts making a knocking sound. A faulty EGR temperature sensor will disturb the flow of the EGR system causing the cylinder temperature to increase. This increase in temperature produces a weird sound which can be heard near the engine bay. If you hear such noise, it means that there is some problem with the combustion process and it should be fixed right away. Delaying the problem for too long can cause complete engine failure. If your car’s EGR temperature sensor is faulty, it will fail the emission test. A faulty sensor may give a false reading to the ECU and as a result, the EGR system will crash. If your vehicle fails the emission test, you are violating the law, so it is a good idea to get your car diagnosed immediately. We suggest that you take your car to a professional mechanic in case your car requires EGR temperature sensor replacement, however, if you have some experience in diagnosing auto-related problems, you can perform the replacement procedure at home as well. To locate the EGR temperature sensor, open the hood of your car. The EGR temperature sensor can be found in the exhaust manifold or near the EGR valve. To protect yourself from getting any electric shock, it is important that you disconnect the car battery. Locate the negative terminal of the battery and disconnect it. After removing the battery, disconnect the electrical connector. Once the electrical connector is removed, unscrew the EGR temperature sensor using a socket wrench or a ratchet. Make sure you rotate gently in order to avoid damage to any nearby component. After removing the old sensor, mount the new sensor and screw tightly. Re-connect the electrical connector once the sensor is installed. Once you have connected the electrical connector, re-connect the negative terminal of the battery and start the engine. It is recommended that you start the engine and drive for a while after the replacement procedure is done. A typical EGR temperature sensor should last a lifetime but it does go get damaged mainly due to carbon buildup or if it is exposed to intense heat, carbon or experienced continuous temperature fluctuation. We recommend that you also get the EGR system checked as well if the sensor becomes faulty. The average cost to replace the EGR temperature sensor is between $190 and $260. The labor cost is between $30 and $80, while the part itself cost between $150 and $200. The pricing usually depends on the car model and make. Moreover, every auto repair shop has different pricing so it is recommended that you do some market research before choosing the best one. The official dealers usually charge extra whereas the local mechanics are comparatively cheaper to afford. If you wish to save the cost, you can order the parts yourself from online retailers and only pay your mechanic the labor cost. Before replacing the EGR Temperature sensor, it is a good idea that you clean and services the sensor to see if the issue resolves. Most of the time, due to carbon buildup, the sensor sends incorrect information causing the EGR system to malfunction. The best way to clean the EGR temperature sensor is with a clean and dry cloth. Avoid using any harsh chemical as it can damage the sensor. If the sensor is still not fixed after cleaning, we recommend that you replace it with a new one. If you have any additional questions related to the EGR temperature sensor or the EGR system, send us a message or comment below. Our trained professional will get back to you ASAP. @Reg You can search on google for repair manuals for the 1988 420 SEL. There are plenty of them but not for free unfortunate!